9mobile recharge code - many people have been asking about how to recharge 9mobile airtime or how to load 9mobile card. Today I will be sharing with you easy steps to recharge 9mobile card. From my research I have discovered what others have said on this. 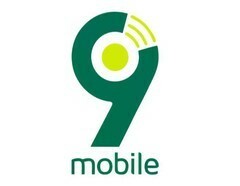 9mobile has provided various ways that one can load 9mobile card, this article contains those ways. You should know that 9mobile recharge card is contains 15 digits. Follow the steps below to load you recharge 9mobile airtime. USSD format: *222*PIN# and then Send/Ok. For example, If the airtime PIN is 111 222 333 444 555, include *222*111222333444555# and press Send or Ok. If you have used the correct 9mobile recharge code. Then you can dial *232# to check your 9mobile account balance. If the recharge pin refuse to enter you can contact 9mobile customer care service. Then call the recharge card serial number for them. They will recharge it for you. Now you have learnt ways one can use to recharge 9mobile card. But if you encounter any problem then you can use the comment below to let me know or contact 9mobile customer care service. Then table your problem them.